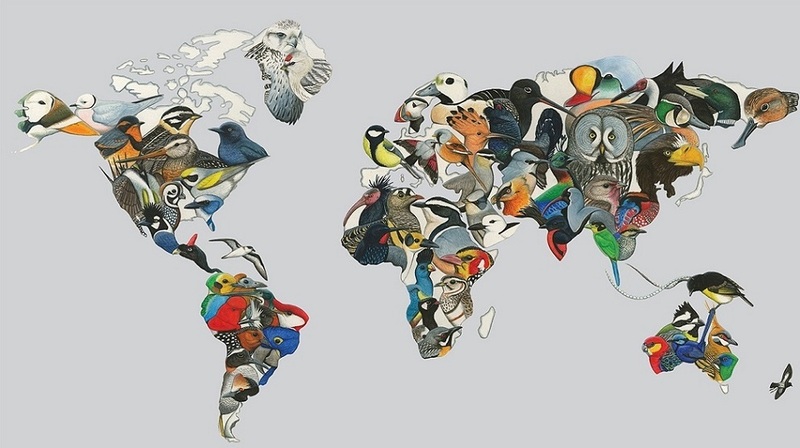 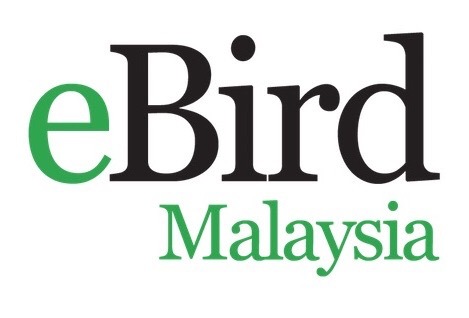 Members asked why WBCM chose Malaysian plover as WBCM logo and it was only because there was a Malaysian word attached to this bird. And for 16 of us, it was meaningful as it was the first star bird spotted at the beach area of Mutiara Motor Resort located at Sedili Kechil. 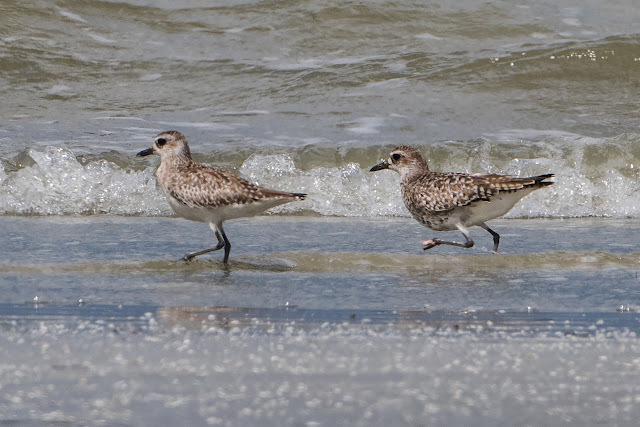 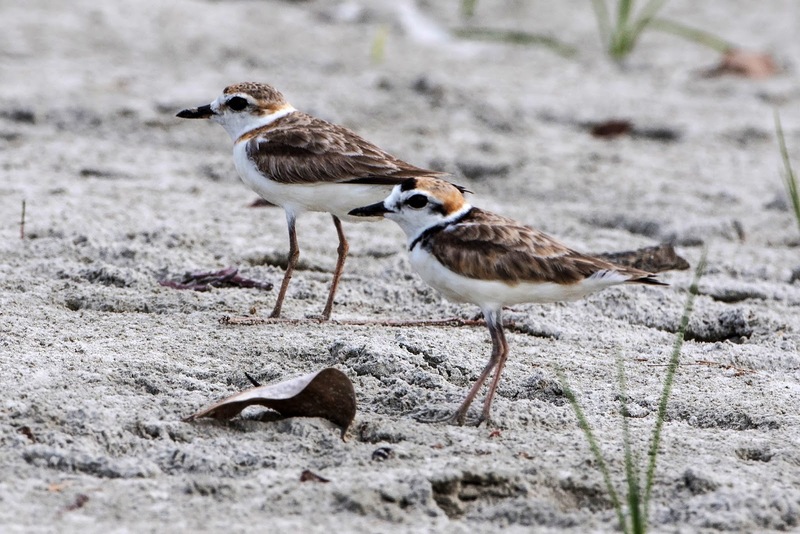 Although some members were fiercely bitten by sand flies, it did not stop them observing 4 pairs of Malaysian Plover in breeding plumage under a hot blazing sun on Friday afternoon! 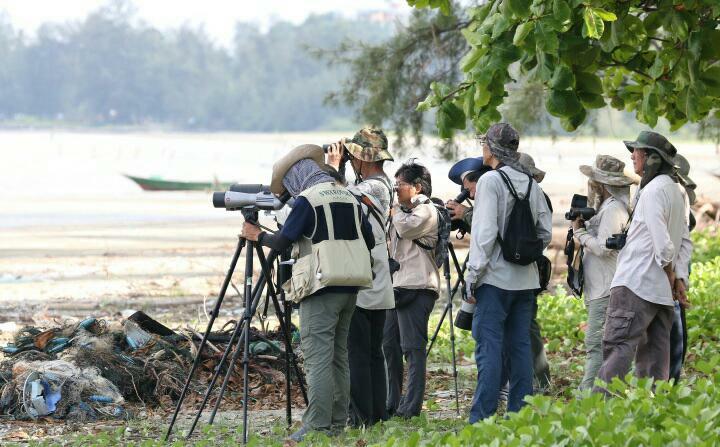 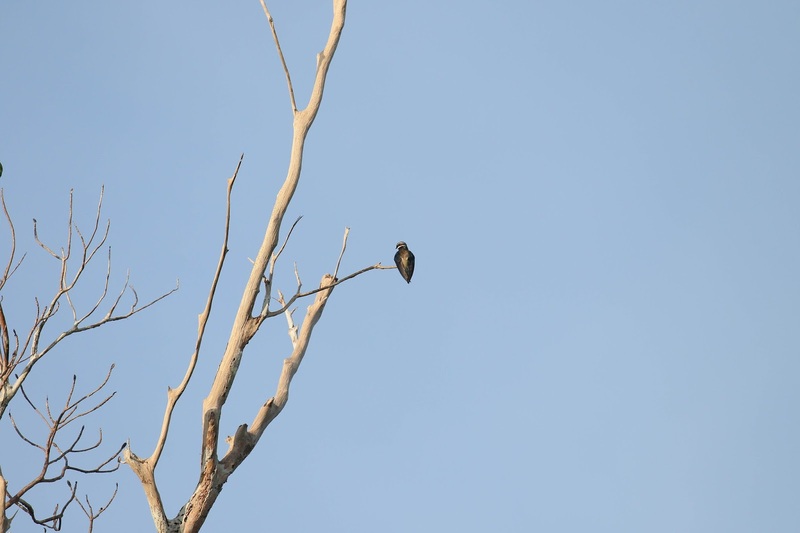 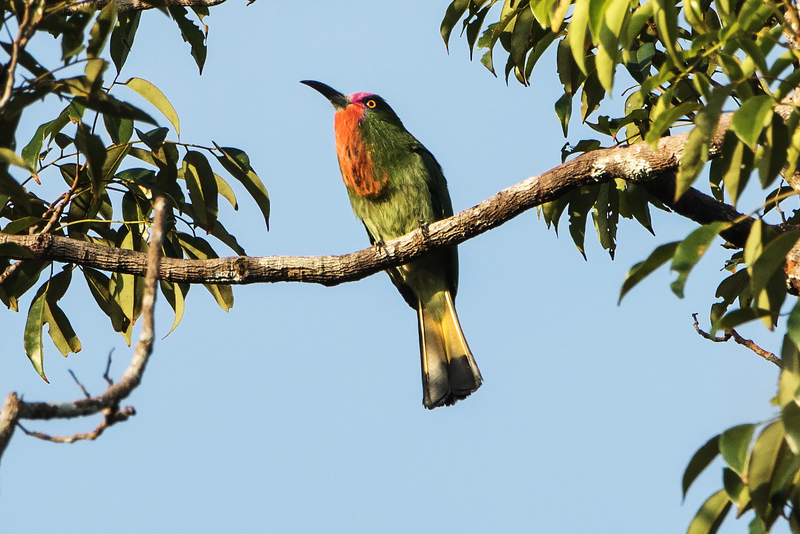 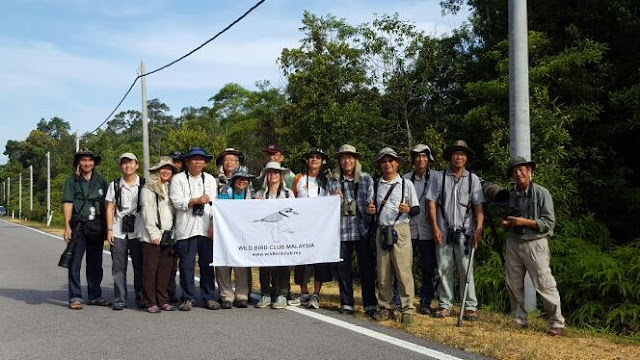 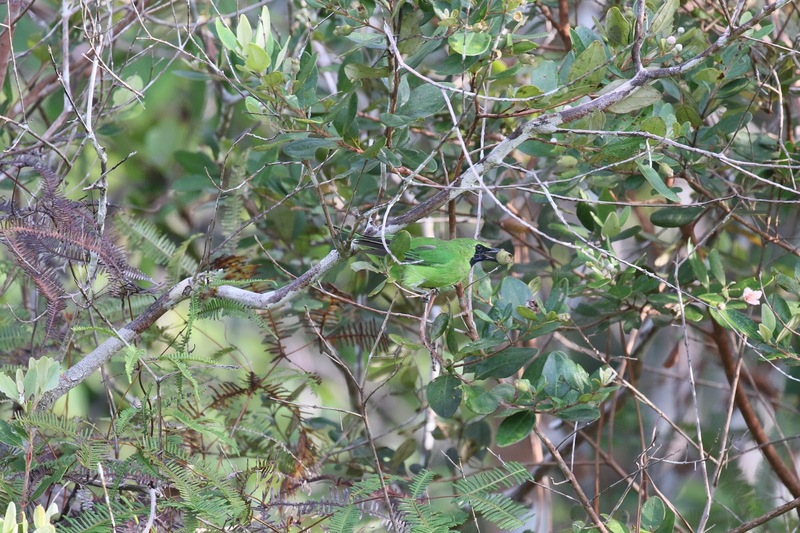 The next morning members observed birds along the Sedili Kechil road from Mutiara Motor Resort. 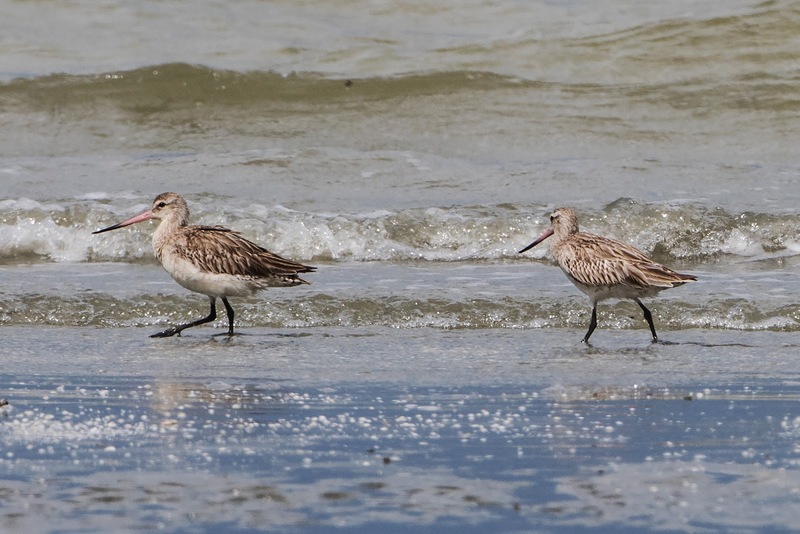 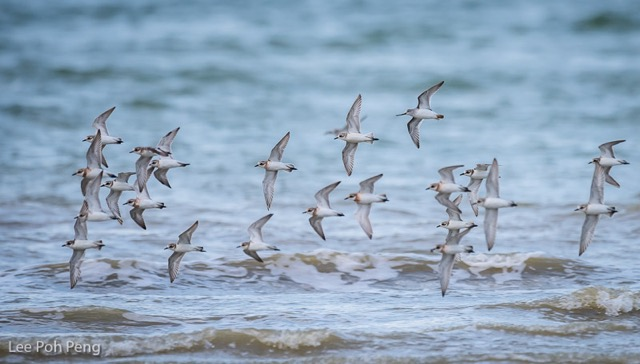 We then made our way to Mersing, which takes approximately 1 ½ hours’ drive from Sedili Kechil, as we knew the high tide along Mersing jetty will reach maximum level by 1 p.m. and we will not be able to observe waders at a near distance. At Mersing jetty, members spotted 2 Kentish Plovers and the 1 precious Sanderling amongst the hundreds of plovers!!! 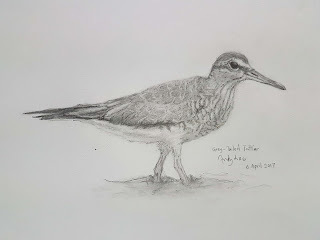 On the last day, some members headed back to Mersing jetty and were pleasantly surprised to spot Grey-tailed Tattler which breeds in Siberia, winters in Australia and makes rare appearances in Malaysia. We did not spot Malaysian Plover at Mersing jetty although it was previously sighted at this location. 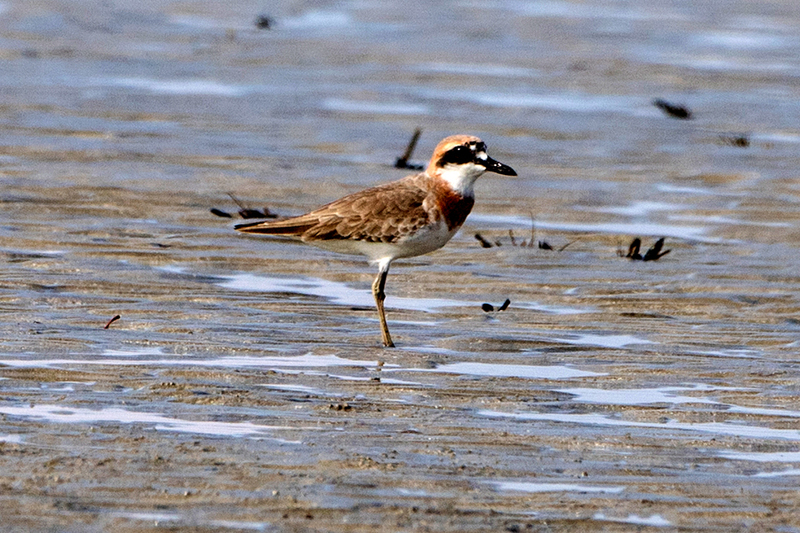 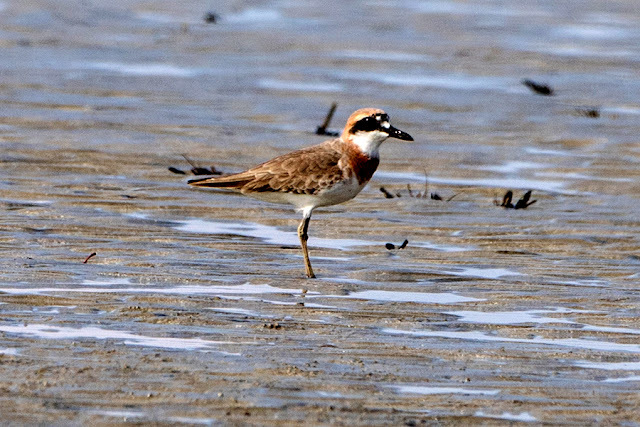 It reaffirms the Malaysian plover is more sensitive to coastal developments and prefers sandy beaches. 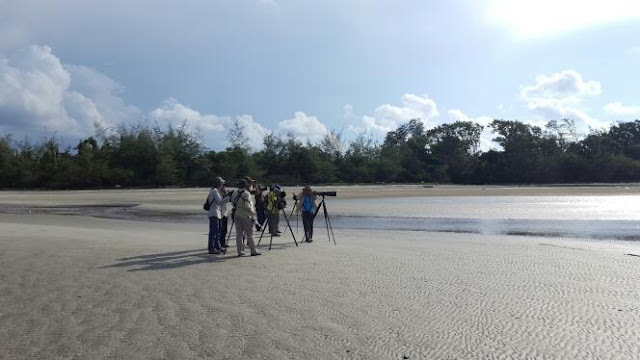 We indulged ourselves with Mersing’s local coffee and hot toasted buns at Sri Mersing Café, a sumptuous seafood lunch and dinner at Mersing Seafood and JYL Restaurant. 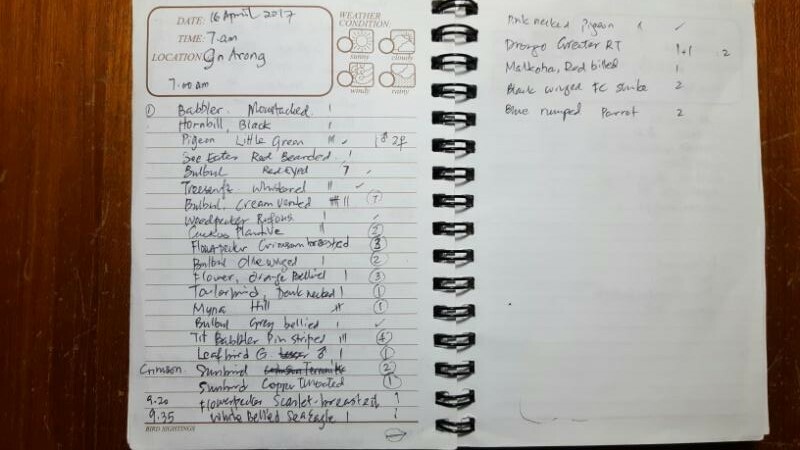 These 3 places came highly recommended by Tay Kim Hock, our member who visits Mersing monthly (reasons which I cannot reveal here!!). 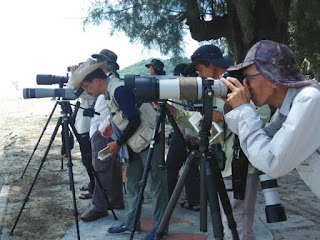 On a Sunday morning we covered forest birds and spent the day birding along Gunung Arong. 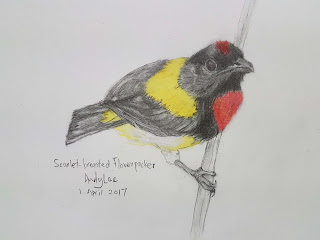 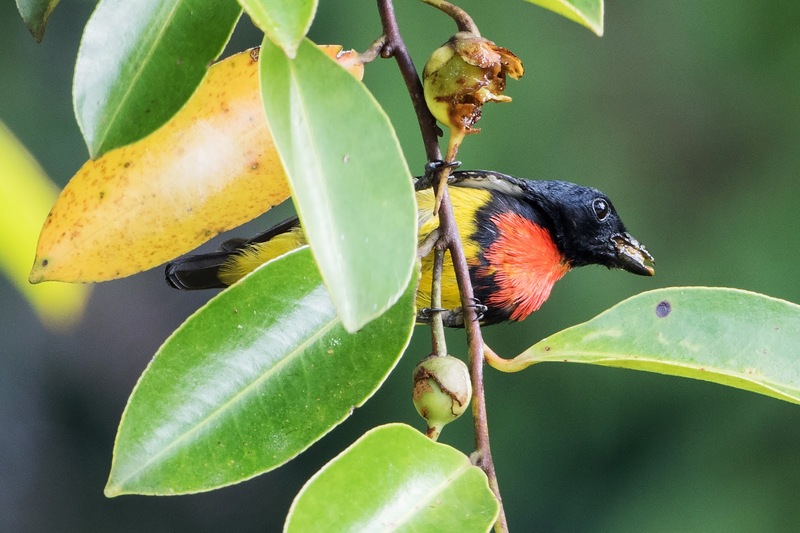 After 2 hours of patiently birding, our last star bird, Scarlet-breasted Flowerpecker showed up at this fruiting tree called Adinandra dumosa or Tiup Tiup in Malay. 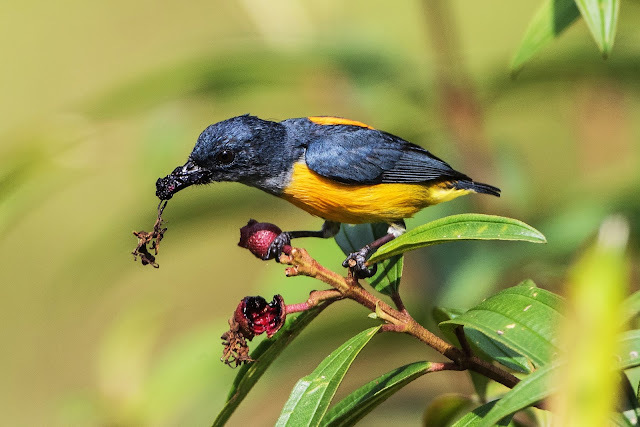 The colours of Scarlet-breasted Flowerpecker was so striking as compared to the plovers seen over the last 2 days. 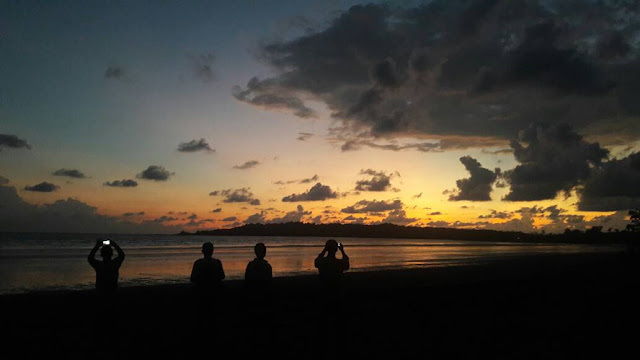 It was a fitting parting gift for all of us as we bade farewell to Mersing! 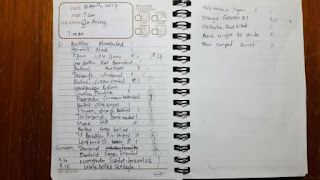 Great trip and nice write-up!